Gov. Simon Lalong of Plateau has called on the Muslims to offer special prayers for peace, unity and progress of Nigeria during the 2017 Ramadan fasting period. Lalong made the call in his Ramadan message to the Muslim Ummah in the state on the occasion of the commencement of the fast. The statement was signed by his Director of Press and Public Affairs, Mr Emmanuel Nanle. The governor enjoined the Muslim faithful to use the period to reflect on how to live a life of piety, so that the blessings derivable from answered prayers in the Holy Month, will continue to bear fruit in the unity and peace been enjoyed in the country. He stressed that the virtues of sacrificial love for humanity, giving of arms to the needy and prayers would reflect the gratitude of the Muslim faithful to Allah. Lalong also prayed Allah to grant Muslims in the country the grace and strength to be steadfast through this period of their participation in the fasting season. 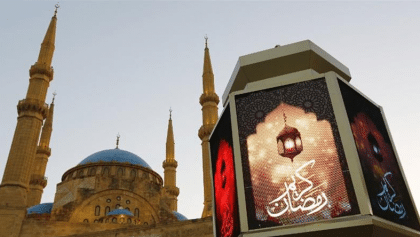 The Ramandan is the ninth month of the Islamic calendar in which the able faithful are mandated to fast for a period of 29 or 30 days, depending on the sighting of the new month of Shawwal. The fasting in Ramadan is one of the five cardinal pillars of Islam.